Software, handmade in the heart of Berlin, the vibrant area of Kreuzberg. Drop by for a coffee, we like to make new contacts. Technoly tailor-makes software for the travel industry. We work with a network of travel industry companies to build software that streamlines and simplifies the travel experience. We’re not magicians, but we work hard to actually make magic happen. Our team wraps ideas into mockups, storyboards and specifications. We SCRUManize the bits and pieces and code with future compatibility in mind. Full scale project development to create mesmerizing software products. 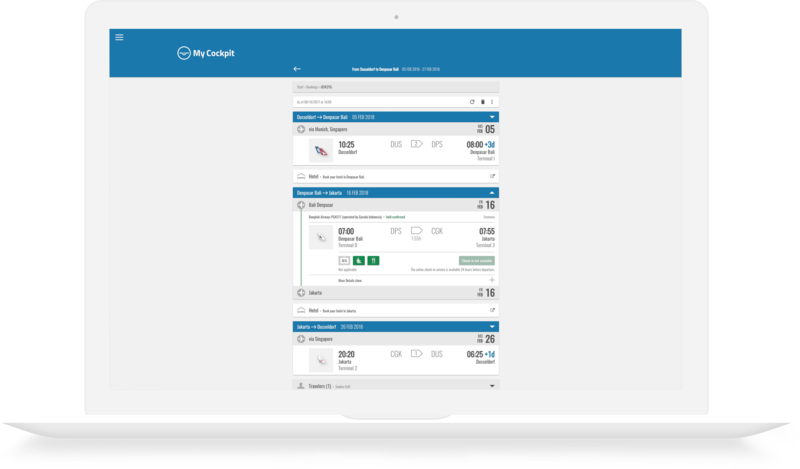 Meet one of our current projects: MyCockpit, a personal travel assistant for pre-booked flights. 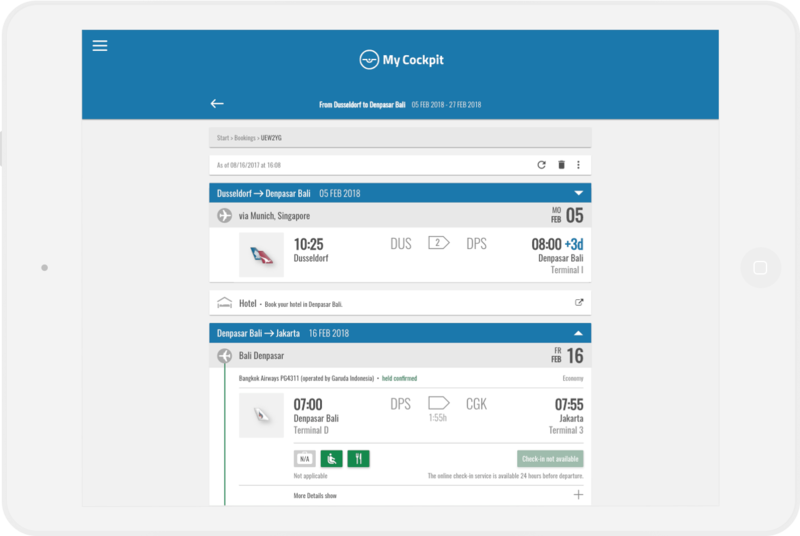 With MyCockpit we aim to revolutionize the travel experience, providing the traveler with a sophisticated tool for all aspects of travel information and booking of additional services. 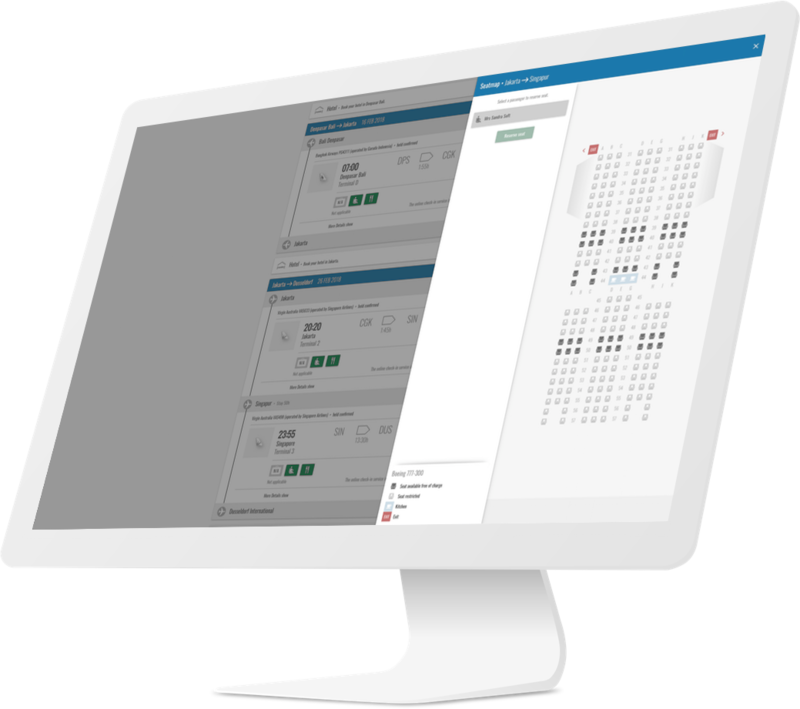 All in one interface with continuous user experience on desktop, tablet and smartphone.